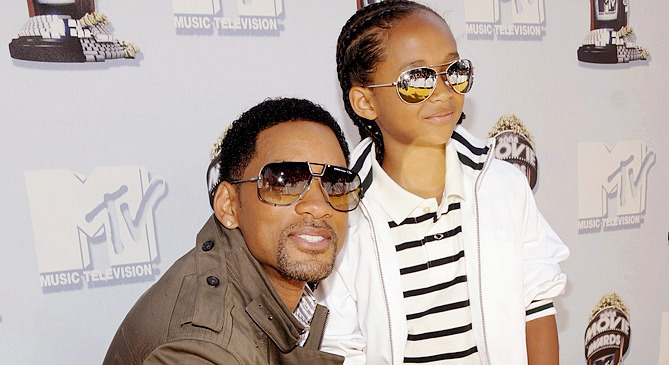 Double nominee to Oscar Will Smith (42) decided to help strengthen career of his son, Jaden Smith (12).Also Will Smith gives a helping hand to relaunch of the Indian director M. Night Shyamalan’s career, which has been successful in 1999, when it released the thriller “The Sixth Sense”, but was covered in shame in 2010 when the family adventure “The Last Airbender” has generated a wave of negative reviews and had won four unwanted awards to the Golden Raspberry even if it had approximate recorded revenues of $ 319 million in international box-office. In an official statement issued yesterday by Columbia Pictures production company, officials stipulating that Will Smith and Jaden Smith have already signed contracts to play key roles in a fiction that doesn`t have a title yet. M. Night Shyamalan announced in October 2010 that his next film project is titled “One Thousand AE” and Ames Lassiter, Will Smith, Jada Pinkett Smith and Ken Stovitz are assuming the responsibilities of producers through Overbrook Entertainment. Doug Belgrad, president of Columbia Pictures studio has made ? ?some comments on this official announcement expressing his delight to work with two of the members of the Smith clanand with Indian director who was nominated for an Oscar in 2000 in the categories best director and best original screenplay for the movie “The Sixth Sense”. Doug said about Night that is a remarkable filmmaker, who had an extraordinary vision of this science-fiction adventure stories, and he could not be more pleased to be working again with Jaden Smith after previous experiences with The Pursuit of Happyness and The Karate Kid. The screenplay will be wear the signatures of M. Night Shyamalan and Gary Whittle (“The Book of Eli”) and will follow a boy (Jaden Smith) who drifts along with instrainatul dad (Will Smith) on a deserted and frightening Earth with the purpose of survive after their spatial ship crashed on this planet abandoned, the film is placed in a distant future, after 1000 years away from the present moment. Jaden Smith is my hot stuff he’s my baby daddy.